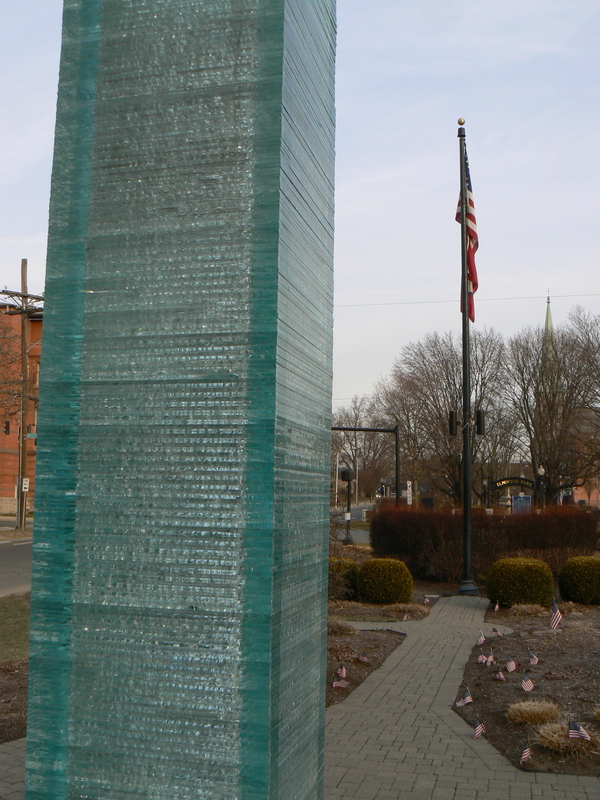 The city of Danbury has honored the state’s victims of the Sept. 11 terrorist attacks with an 12-foot glass sculpture that rises from a five-sided granite base. 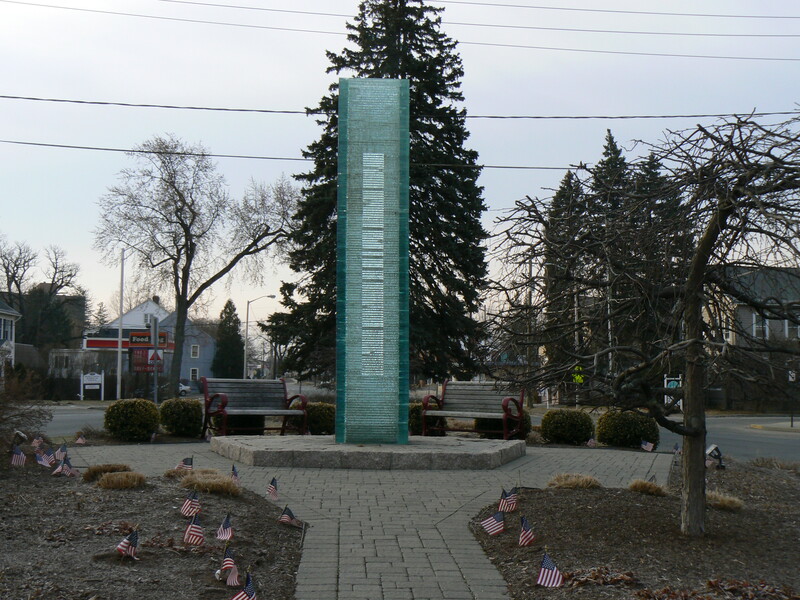 The memorial, dedicated in 2004, stands on Main Street near the former Fairfield County Courthouse. The monument was crafted from shards of broken glass that were fused into a hollow rectangle in the shape of a former World Trade Center tower. 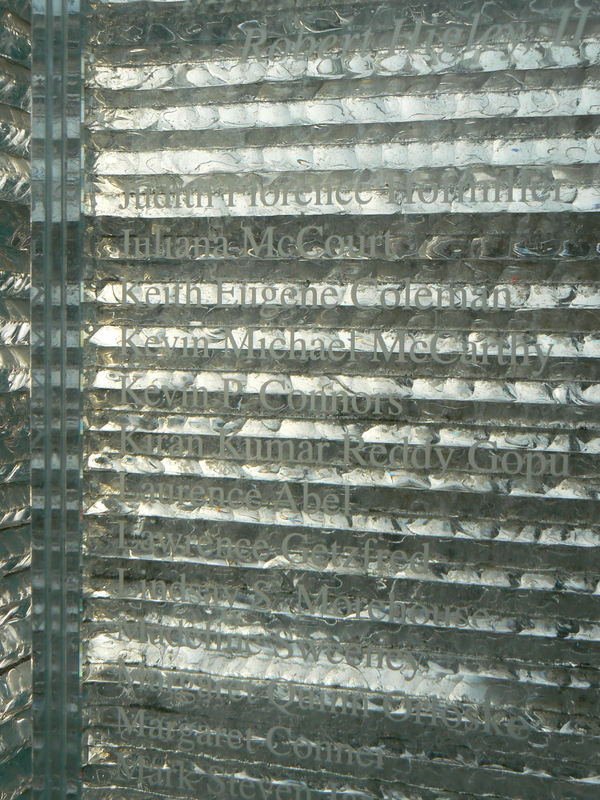 Within the tower, a long sheet of glass is etched with the names of the 152 victims of 9/11 from Connecticut. The monument, which is lighted at night, rises from a Pentagon-shaped base of granite blocks that sits at the center of a small plaza with two benches and a pathway lined with flags. 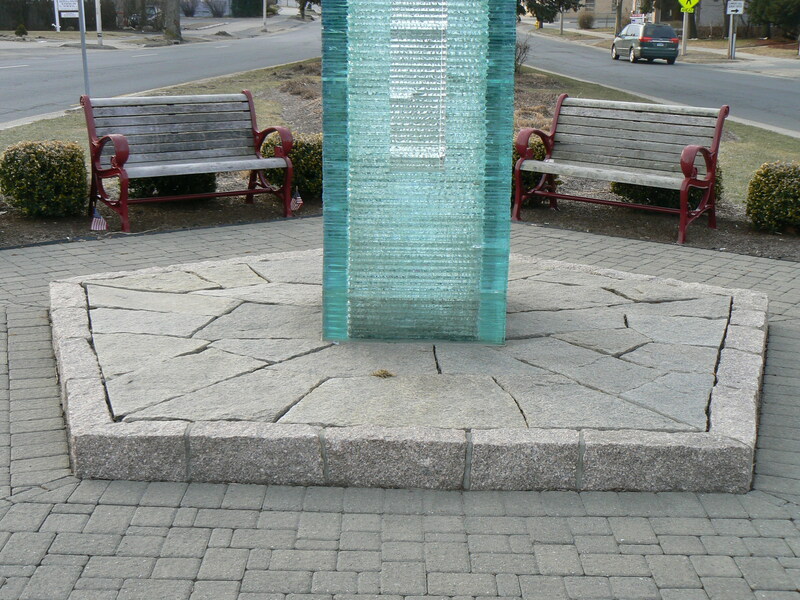 The monument was created by sculptor Henry Richardson, who has other glass works on display in Maine, Connecticut and Florida.